Celebrating the life of Ulysses Grant Smith, Sr.
Be the first to share your favorite memory, photo or story of Ulysses. This memorial page is dedicated for family, friends and future generations to celebrate the life of their loved one. Obituary for Ulysses Grant Smith, Sr.
Ulysses Grant Smith, Sr., known as “Smitty” to his family and friends, was born October 16, 1927 in Fayetteville, North Carolina to the late Willie Smith and Malinda Littles. One of nine children, Ulysses captivated everyone he encountered. After attending and graduating from public schools in Fayetteville, he pursued mortuary sciences in college while working at the Garrett Funeral Home. He travelled north to New Jersey and worked as a master machinist for the Valcor Corporation in Kenilworth, New Jersey. It was there where he met his wife, Ruth Wallace. They were married on July 16, 1958. Smitty was a champion league bowler in Clark, New Jersey and held two jobs while opening his own mechanical building company. Servicing businesses locally, it soon spread statewide. He then moved to Roselle, New Jersey after purchasing a home in 1962. Ulysses concentrated on mechanical engineering, plumbing, heating and HVAC. He was one of the first black Licensed Master Plumbers in the State New Jersey who also specialized in Natural Gas Resource Distribution. Serving the tri-state area, Smith Plumbing & Heating became a prime contractor for companies such as SUN Oil CO, New Jersey Transit, Conrail, Amtrak, Wendy’s, many residential/commercial areas and industrial development companies in New Jersey. Ulysses was a proud supporter of his community providing employment and skilled training to most teenage men in his neighborhood and surrounding townships. He also was a youth leader in the Boy Scouts of America Troop 51 and an Election Poll worker. He was always willing to help others and a devoted family man. On Tuesday, January 29, 2019 with his wife and grandchildren by his side, Ulysses Grant Smith, Sr. passed away at the age of 91. He was predeceased by his daughter, Anita; brothers: Raymond and Elmer; sisters: Rowena, Christine, Ophelia, Lillian, Juanita, and Delois. Ulysses leaves to cherish fond memories, his wife of 60 years, Ruth; children: Ulysses G., Jr., Timothy, Gwendolyn Barrow (James); 12 grandchildren; 14 great-grandchildren; many nephews and nieces, cousins and a host of dear friends. Please do not send flowers to the Church. 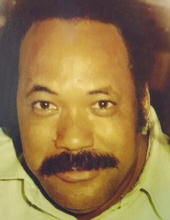 "Email Address" would like to share the life celebration of Ulysses Grant Smith, Sr.. Click on the "link" to go to share a favorite memory or leave a condolence message for the family.